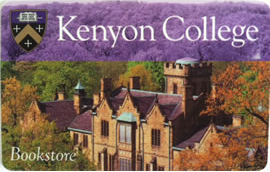 CDI Decal - Kenyon Shield with "KENYON" in purple and gold. 1.5" X 8.25"
Adheres to any smooth glass, metal, or plastic surface. Removable with no residual effect. Weather and fade resistant.